... you get the crazy stomach flu. And a head cold. And your period. All back to back. All the same week as your sister. This is twilight zone stuff. And I don't mess around when it comes to the flu, either. I'm down and out for at least a full 24 hours, puking every 45 minutes, passing out intermittently. It's bad. Thankfully Trevor was able to come home early and Milo slept in late on the worst day- whew! Don't know what I would have done otherwise. Needless to say, I'm just about back to normal and feeling amazing (pounding head, sore everything, and churny stomach are 3 symptoms I can easily handle after all the crazy). Now let's all keep our fingers crossed that this lovely disease passes over my boys. So I have 3 things. 1) I think Milo knew I needed extra love and an extra good day when I was the sickest. He slept in, played by himself pretty well (I was helpless- it was all I could do to hand him a tortilla and banana for breakfast). He also took a super long nap (this boy is a champ. 3.5 hours no problem on the regular). And he gave me extra loving. Love him. 2. 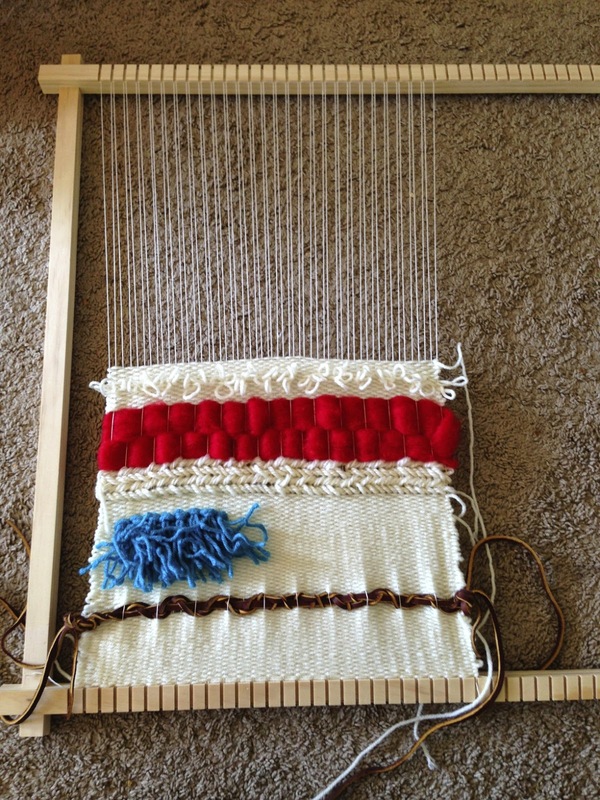 I'm officially in love with my loom. I'm an old spinster lady and I'm not afraid to say it. I get to weave whatever the heck I want into this blank canvas and after way too many failed attempts at sewing, knitting, painting, and a ton of other things, it's the perfect art medium for me. 3. Ninja turtle slippers. 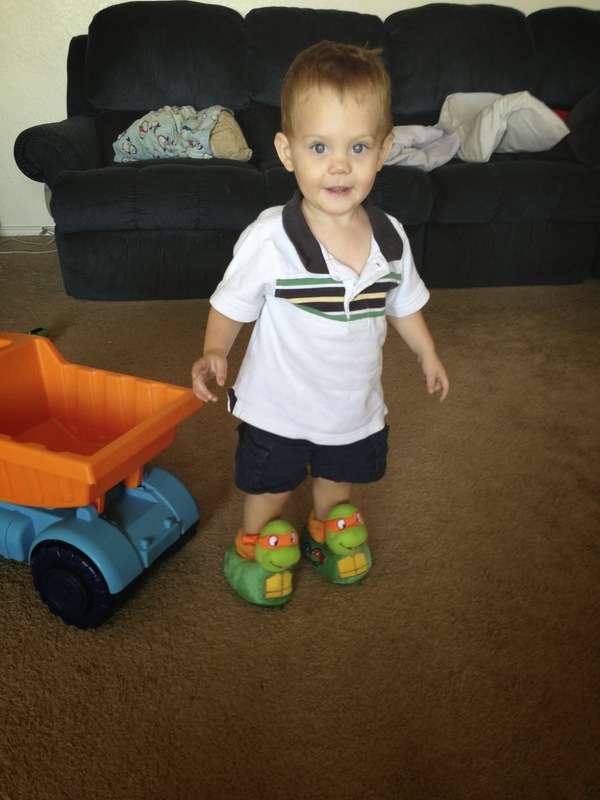 I have no self control when it comes to ninja turtle slippers for tiny feet apparently (and let's talk about how whenever I want stuff for Milo- such as the dump truck pictured below- they have to call the back. Um, yes, I'm looking for some ninja turtle slippers please? Size small? Yes, we will have those right out to you, ma'am). Happy Friday loves. Rest up and enjoy your weekend!